When a parent’s rights are terminated by the court it cuts off all legal rights and responsibilities that person has to their child. After the parent’s rights are terminated they no longer have the legal right to make decisions for, physically care for or even see their own child. Similarly, they do not have the duty to financially support whether the same child while living or intestate after their death. Any financial obligations from the parent to their child that have already accrued up until day the rights of the parent are terminated remain in place. While parts of this may sound appealing to either the custodial or non-custodial parent, terminating a parent’s rights is an extreme remedy not often used by the Court. Because every case is different, if you are seeking a Termination of Parental Rights, call Steinberg Law Group at (702) 384-9664 to discuss your case specifically. A parent’s rights may be terminated by the Court upon petition for several different reasons. Some of the most common reasons are where a parent has abandoned the child or only made “token efforts” to support or communicate with the child. These grounds are not considered lightly by the court as a termination of parental rights cuts off a parent’s constitutional right to raise and care for their own child. Because this is such an extreme remedy, a higher burden than is typically used in family cases is put on the party seeking to terminate the other parent’s rights. The legal standard in these types of cases is proof by “clear and convincing evidence.” This standard requires that it be substantially more probable that the facts offered to prove the reason for the termination are factually true. This standard falls just short of “beyond reasonable doubt,” which is the standard in criminal cases. Based on this standard of proof and the grounds available to attempt to terminate a parent’s rights, a party attempting to terminate another’s parental rights should be aware of certain actions that can decrease or even eliminate their chances of the termination being granted. In most cases, the frequent or even semi-frequent payment of child support is seen as a material effort to support and care for a child. Where a parent has paid child support but otherwise not seen or had contact with a child, even for extensive periods of time, the court has often times not allowed that parent’s rights to be terminated. Moreover, courts have found that a parent can go for several months without contacting or attempting to contact the child before the court will even consider terminating their rights. Many times if there has been any contact between parent and child within the immediate six months before the petition is filed, the court will not terminate the rights of the absent or semi-absent parent. This contact includes custodial time, phone calls, sending birthday presents and cards or child support as outlined above. Another factor that the court considers is whether a step-parent adoption will follow the termination case. Because a Termination of Parental Rights action cuts off inheritance rights as well as support rights, the Courts are highly in favor of replacing these rights of the child where available. If the termination will not be followed by an adoption, the court can err on the side of leaving those support and inheritance obligations in place from the natural parent rather than leaving the child to be supported by one parent alone. A person who is thinking about attempting to terminate the rights of another parent must consider all the alternatives and weigh their options carefully. Deciding to pursue or not pursue this option can provide extremely detrimental results to the parent and child if it is done improperly, without adequate planning or for the wrong reasons. Based on this, it is not advisable for a person to attempt this process on their own. Termination of Parental Rights actions can be successful under certain circumstances but usually require an experienced attorney who is experienced in these types of cases and knows what facts are important for the court to consider. 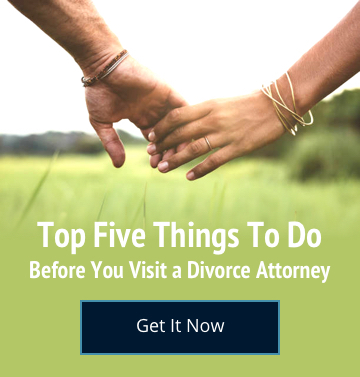 The attorneys at Steinberg Law Group have extensive experience with contested as well as uncontested termination cases and are available to answer any questions you may have. To schedule an appointment with an attorney call (702) 384-9664.